A report on Tuesday details a recent home invasion in Cupertino, Calif., in which thieves stole thousands of dollars' worth of goods and cash, including what is being described as a "test model iPad from Apple." Authorities have not announced whether the iPad in question is a current model or a prototype for an upcoming product, but confirmed the device is still missing, reports the San Jose Mercury News. Katherine Stump, 20, and Alexander Nejat, 25, were arrested for allegedly assaulting, robbing and kidnapping a 20-year-old local man. On April 5, the victim contacted Stump in reply to an online advertisement, the nature of which was not disclosed. The victim met Stump and Nejat near his home before all three returned to the dwelling, where the suspects robbed him at knifepoint. After looting the victim's house of electronics, prescription drugs and cash worth $7,500, Stump and Nejat pushed him into their car and drove a short distance before letting him out, officials said. The victim's identity has been withheld for security reasons and it is not yet clear if he is an Apple employee. Apple is well known for keep a tight lid on upcoming products before their official public debut, a necessary practice for players in the highly competitive tech industry. Device leaks not only put intellectual property at risk, but could negatively affect normal annual market cycles. In 2010, an infamous "leak" outed the iPhone 4 months before it was due for announcement. In that case, a software engineer field testing a prototype of the device accidentally left it behind at a bar in Redwood. The iPhone, disguised as an iPhone 3GS, was found and ultimately sold to Gizmodo, which posted a comprehensive teardown of the device before returning it to Apple. 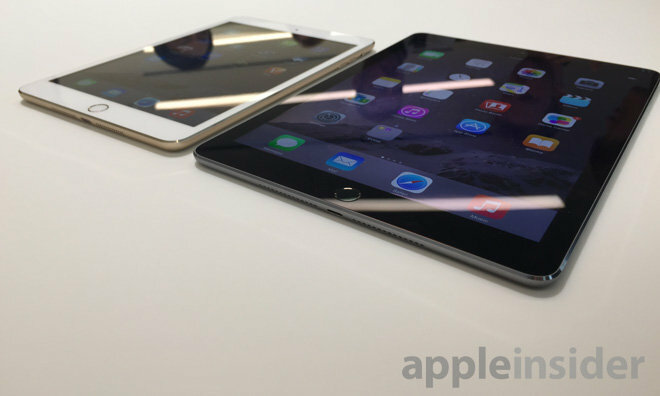 Apple's most recent iPad models, the iPad Air 2 and iPad mini 3, came out in October. The company is expected to refresh the lineup later this year, potentially introducing a jumbo size "iPad Pro" rumored to sport a 12.9-inch display and additional speakers.